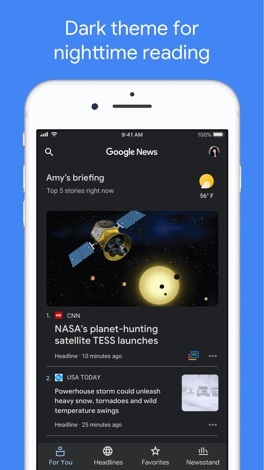 Google News organizes what’s happening in the world to help you learn more about the stories that matter to you. Your briefing – It can be nearly impossible to keep up with every story you care about. 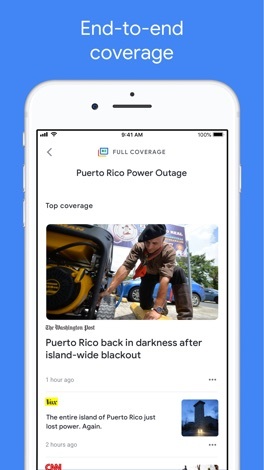 With your briefing, easily stay in the know about what’s important and relevant to you. Your briefing updates throughout the day bringing you the top five stories you need to know, including local, national, and world content. 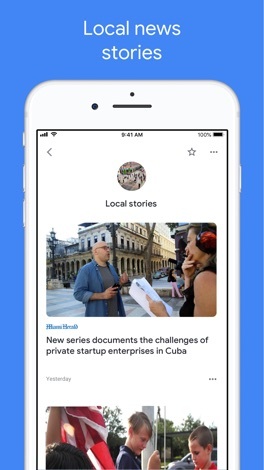 Full coverage – Understand the full context on any story with just a tap. 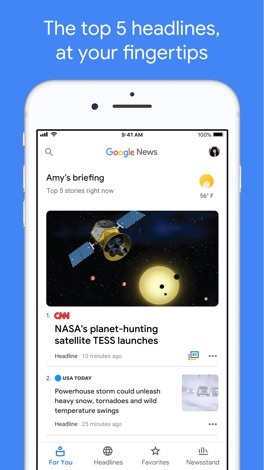 Google News gives you everything online about a story and organizes it for you – highlighting different perspectives, a timeline of key events, FAQs, important people, and more. 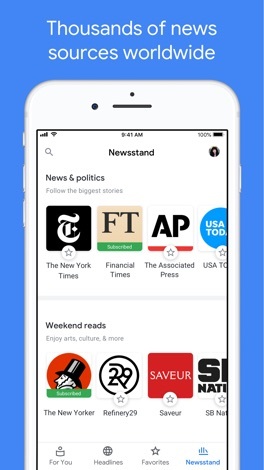 Credible sources – Find quality content from a diverse set of credible publishers and discover sources you haven’t heard of before. 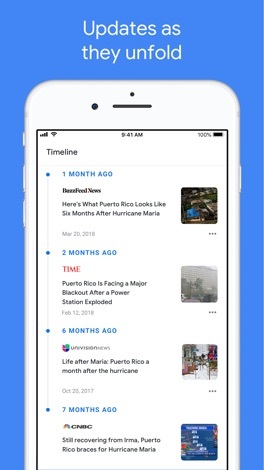 Stories, for you – Keep up with what’s happening on the topics you care about, whether that’s travel, politics, sports, tech, or fashion.